The West Virginia State Farm Museum’s Christmas Light Show is officially open for the season running until Sunday, Dec. 16. Nightly, the show will be from 6 p.m. to 9 p.m. On Friday, Dec. 14 at 6:30 p.m., there will be a live nativity scene. The event is free to the public, although donations are appreciated at the entrance gate. Guests can visit Santa and Mrs. Claus in the Country Kitchen where free hot chocolate and cookies will be served. The Country Store will be open. More pictures of this light show will be in Saturday’s edition of the Point Pleasant Register for Along the River. 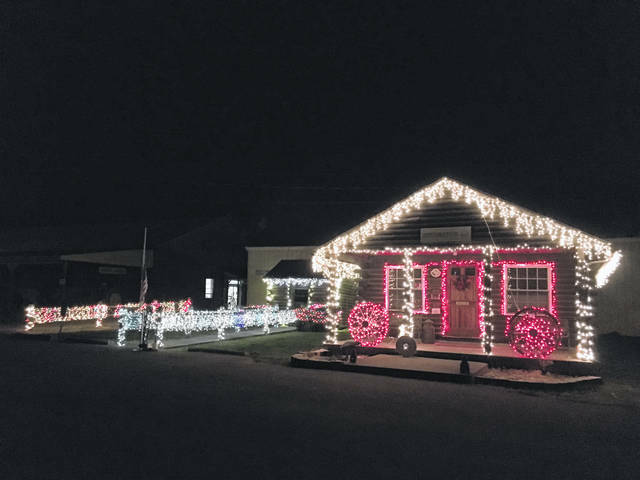 https://www.mydailyregister.com/wp-content/uploads/sites/24/2018/12/web1_FarmLights.jpgThe West Virginia State Farm Museum’s Christmas Light Show is officially open for the season running until Sunday, Dec. 16. Nightly, the show will be from 6 p.m. to 9 p.m. On Friday, Dec. 14 at 6:30 p.m., there will be a live nativity scene. The event is free to the public, although donations are appreciated at the entrance gate. Guests can visit Santa and Mrs. Claus in the Country Kitchen where free hot chocolate and cookies will be served. The Country Store will be open. More pictures of this light show will be in Saturday’s edition of the Point Pleasant Register for Along the River.